The Urban Developer team is proud to partner with some of the nation’s leading organisations to deliver informative content, and to offer the TUD platform as an opportunity for independent news and perspectives from both leading and up-and-coming identities from this unique and vibrant sector. This week, though, there was a noticeable downswing in national commentary as major transactions unfolded and one of the world’s leading tech brands moved to make their ‘property’ mark in Australia. For instance, in a single $725 million swipe of the credit card, Home Consortium this week acquired the entire Masters property portfolio to become the leading landlord in the growing large-format retail sector. Meanwhile, Google revealed the tech superpower is in exclusive discussions with the NSW government to take over Sydney’s White Bay power station. On the financial front, the ‘big four’ national banks pulled back on commercial real estate lending in the past quarter for the first time in almost three years amid concern of oversupply in the capitals. However, the surge in building approvals in July reported by the Australian Bureau of Statistics has revealed a 48 per cent spike in NSW approvals alone. If you haven’t already had a chance to look, below we’ve listed a few must-read articles published this week by TheUrbanDeveloper.com. As always, we appreciate your ongoing support and we look forward to delivering more independent opinions, content, and news from across the country. Our news content will always remain independent, from you, and by you. Brisbane City Council has announced an incentive package to boost the development of aged care in the city. The incentive package includes a reduction in development infrastructure charges by 33 per cent over a three-year period, and additional two-storey allowances in medium and high density locations, if best practice design requirements are met. Read more. For a $286 million price-tag, JPMorgan Asset Management’s Asia Pacific property fund is the proud owner of an office tower in Melbourne. 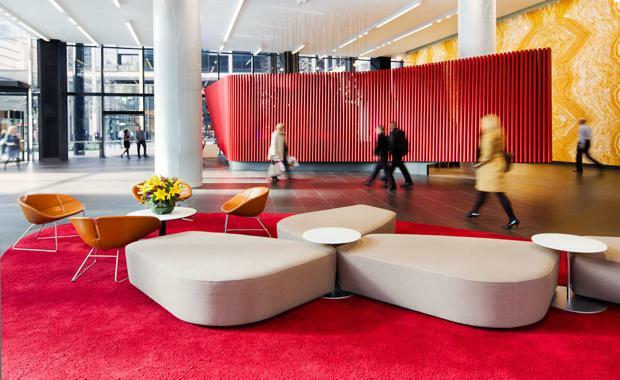 Named Twenty8 Freshwater Place, the tower is a major Melbourne property and considered the largest single office tower transaction in the Melbourne market this year. Read more. The Urban Developer's recent National Insights Series on the outlook for residential apartment settlements was an interesting looking glass into the state of the markets across Sydney, Melbourne and Brisbane. In a moderated panel discussion, local experts from across valuation, development, sales, legal and finance painted a mixed picture of opportunity and risk. To register to future events, stay tuned to The Urban Developer's Events Page.